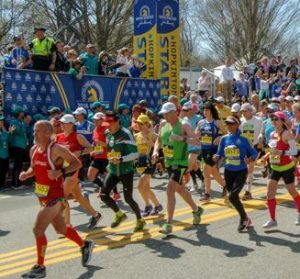 Opportunities for Amateur Radio and non-amateur volunteers are available for the 122nd running of the Boston Marathon on Monday, April 16, sponsored by the Boston Athletic Association (BAA). Amateur Radio volunteers are needed for starting line, course, and finish line positions, and non-amateur volunteers are wanted for medical transportation and various other medical and logistical roles. Volunteer registration is open through Wednesday, February 7. Those interested in volunteering for the 2018 Boston Marathon but unsure if they will be able to participate in April should register now and notify the volunteer coordinators later, if it turns out they will not be able to attend. “It will be very difficult to bring in volunteers once registration closes, and if you register but can no longer volunteer at the event, please let us know as early as possible so contingency planning can be completed,” the Boston Marathon Amateur Radio Communications Committee has announced. Amateur Radio volunteers do not need to specify any group name or passcode; just request at least one ham radio assignment of your preference. Volunteers will receive an application confirmation number. Returning volunteers will be asked to provide a BAA Volunteer Loyalty Number, sent by BAA via e-mail in early January. Prospective Amateur Radio volunteers should visit the Boston Marathon – Amateur Radio Communications page or the Boston Marathon Volunteer Registration page for more information.